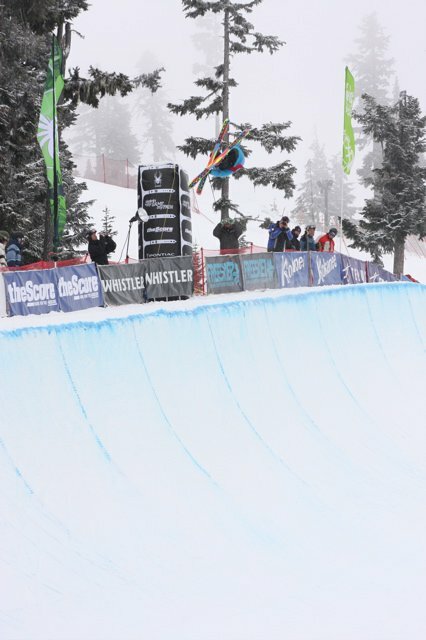 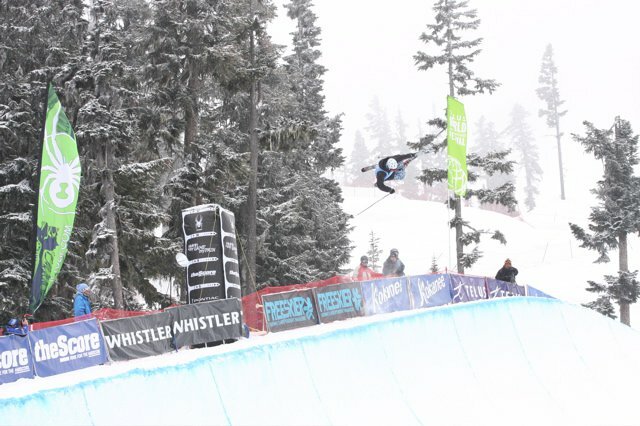 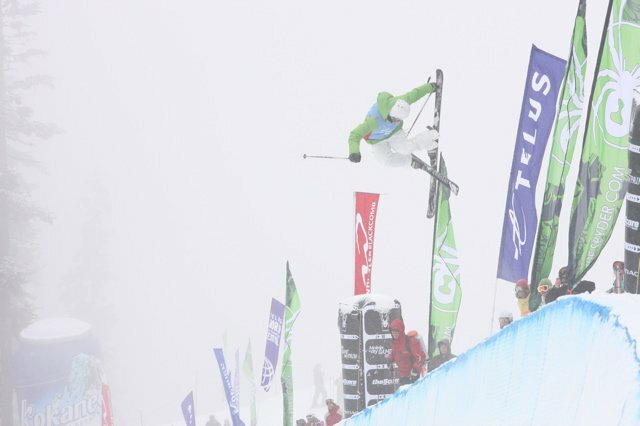 After a week&rsquo;s worth of sunny skies in Whistler at the World Ski &amp; Snowboard Festival the fog and snow finally rolled in today during men&rsquo;s superpipe semi-finals. 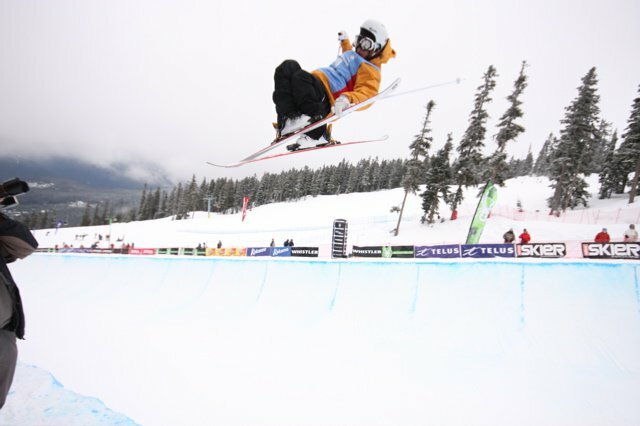 After the field of 51 was narrowed down in Wednesday&rsquo;s qualifiers, a battalion of pre-qualified athletes joined the fray today and spent the first half of the competition battling the elements. 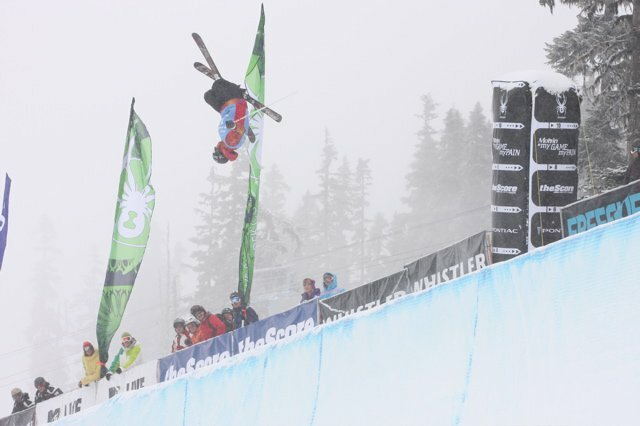 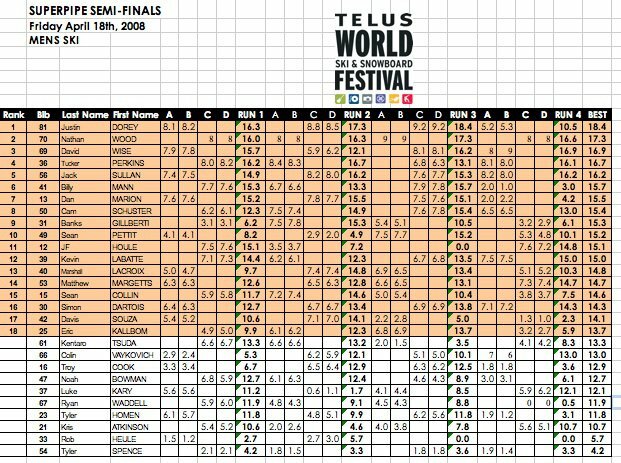 And like qualifiers, the event was jam format, which gave the 30 riders the opportunity to get as many runs in as possible over a span of a few hours. 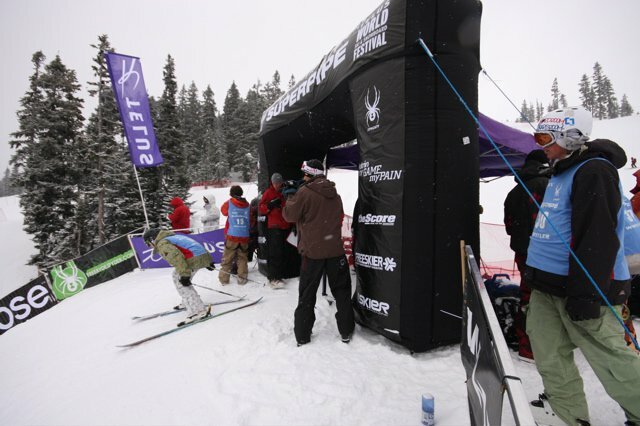 Things got off to a slow start due to the weather as the falling snow created speed issues for most of the competitors. 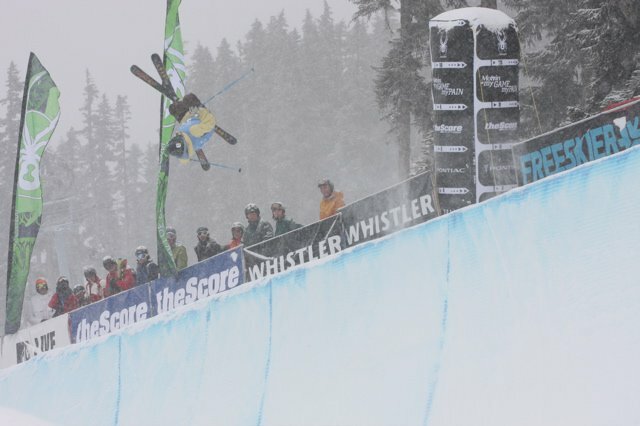 But right from the start, the first athlete to ski and eventual number one qualifer Justin Dorey was on point, continuing his stellar year on the pipe circuit and making him an early favorite to climb the podium tomorrow. 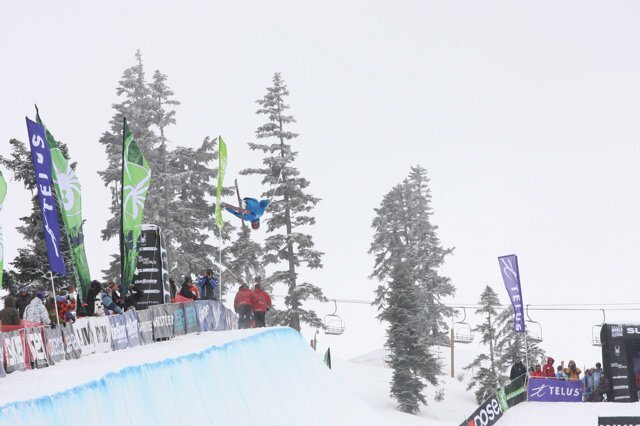 Also throwing down from start to finish was Dorey&rsquo;s fellow Vernonite Cam Schuster, who was followed quite nicely by Sean Pettit, who made his return to the halfpipe scene this week after spending the better part of the winter in the backcountry filming with Tanner. 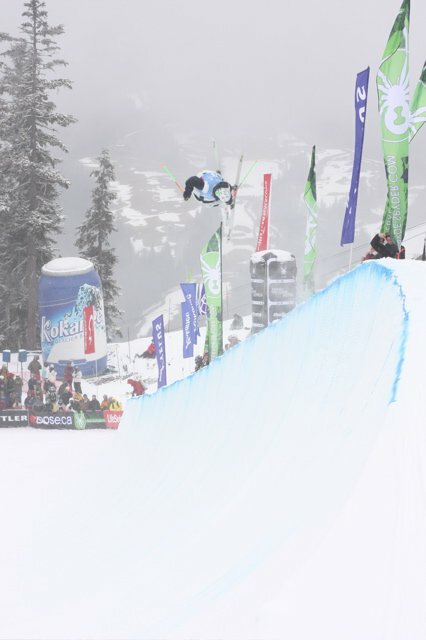 Tucker Perkins, fresh off placing first in the qualifiers earier this week, also continued to dominate the scene today while Nathan Wood was arguably the most consistent skier all day and was rewarded for his efforts with second place right behind Dorey. 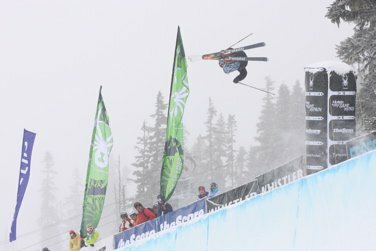 As the day went on the sun did its dandiest to poke its head out from behind the clouds, eliminating the speed issues that many of the athletes were having during their first and second runs and making for some stellar skiing at one of the biggest pipe contests of the year. 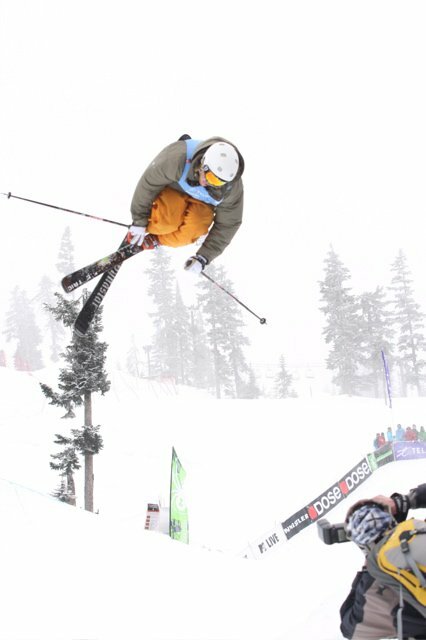 Benefiting from Mother Nature&rsquo;s afternoon leniency was Matt Margetts, who evidently had the wrong type of wax on his skis earlier in the day but made up for it in the afternoon with his A+ brand of consistency that has been helping him turn heads all year.